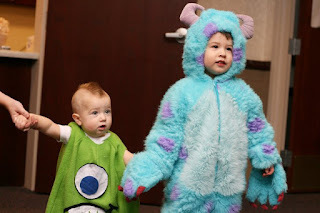 I was thinking about how I'm basically have to do a post on Halloween (I almost titled this Obligatory Halloween Post), and I decided to highlight some of the creative/cute/funny things my loved ones did for their costumes. Adri did a great job. I think I will be oggling this picture for the entire next year. But tell the babies to stop growing! Or at least to slow down a bit. 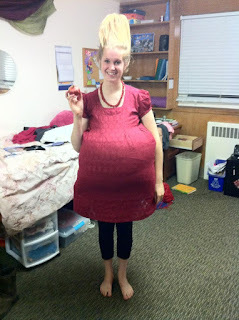 Yes, that is my dear Kristin dressed as a pomegranate. 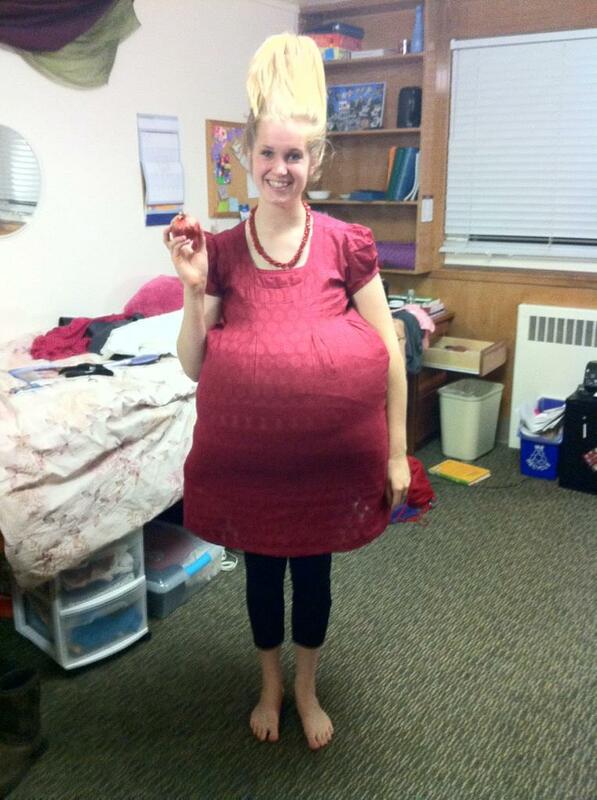 Only a FREAK dresses up as a round fruit for Halloween. I love that freak. And speaking of Kristin, today she is 20 YEARS OLD!!!!!!! Her childhood is officially over. Although don't take that to mean she's an adult, either. 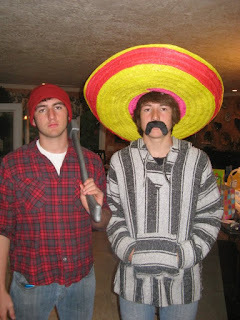 I love you K-Trone. I hope you have a wonderful day and know that my world (and the entire world in general) would be a sad, sad place without you in it. Someday when you're married to a cowboy, I will come visit you and eat your delicious food and we can reminisce over these wonderful starving college student days. I love you too freak!